Zak Lee Guarnaccia was born in Rome. As an actor, Zak is well rounded, charismatic, and professional. He considers himself an artist in body and soul, and his goal is to express his talents on stage, in writing and on the big screen. Zak Lee Guarnaccia spent six years in the Academy of Art and studied photography in Italy. He has appeared in numerous films and television series and he is experienced on both sides of the camera. He has a strong, functional understanding of how to construct action. 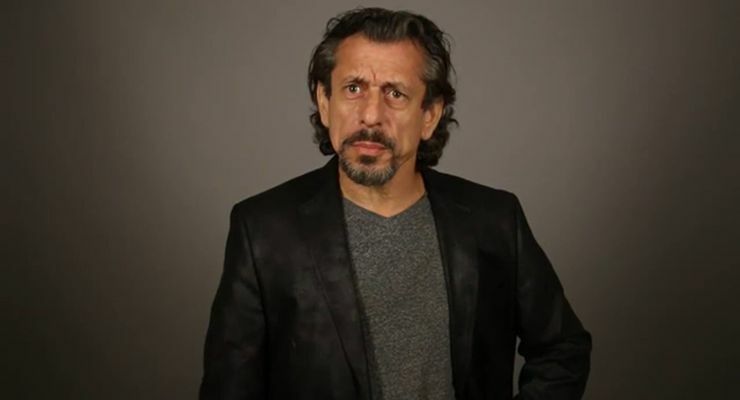 He works in acting and collaborates as a fight choreographer and stuntman to develop films and TV projects. “Rules” is Zak’s debut as director. He is also an accomplished screenwriter and has produced numerous short films and entered several film festivals. Zak Lee Guarnaccia was a multiple Italian martial arts champion and won the European Championships title twice as well the International Championships. He is a fitness expert with several successful exercise videos on the market. He introduced the original Tai-Box: Kick to Fit program. 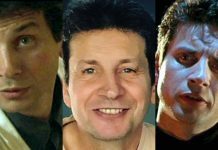 As a performer, Zak Lee Guarnaccia possesses the passion of Antonio Banderas and the intensity of Gary Oldman, along with a dash of an Italian attitude thrown in for spice. Zak’s comedic actor talent are revealed in the romantic comedy feature film, Everybody Wants To Be Italian. 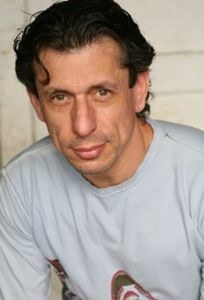 He has guest starred on the prime time TV show Medium (NBC) as serial killer Julian Piers, and on General Hospital as Brenda’s entourage, just to mention a few. Zak Lee Guarnaccia began as a teacher for children’s and adults karate and kick-boxing and taught well-being in fitness, and demonstrate he’s martial and fitness expertise on the big screen. He ownes and works as group fitness manager for two sports clubs in Italy and develops and teaches the K2F fitness program at Spectrum Clubs, Bodies in Motion, 24 hour Fitness and many other fitness clubs. Zak Lee Guarnaccia has been in training nearly all his life. 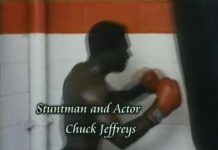 He studied with such renowned masters and champions as Hirokazu Kanazawa, Toshio Yamada, world kick boxer champion Dev Barrett, the legendary kick boxing champion, Benny “the Jet” Urquidez and world kick boxer champion Peter “Sugarfoot” Cunningham. 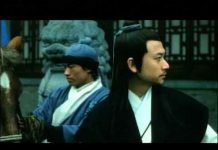 Zak also spent time in China perfecting his moves and forms through rigorous training at the Shaolin temple with the Monk Liang Yiquan, and train in Wing Tsun under the W.T.O. organization founded by Master Leung Ting. 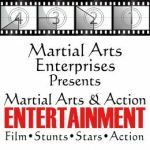 He continues to train in Filipino martial arts under Guru Daniel Inosanto. Zak is the Owner/Executive of a new production company called LightRow Pictures (www.LightRow.com) and currently has seven feature films in development, to be completed over the next four years. The first two projects slated are a perfect showcase for Zak’s talent. 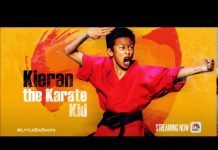 “The Next Big Hit” is a unique and brilliant concept of a martial arts musical comedy. 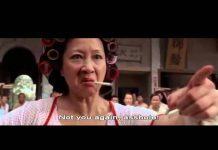 It already has notable celebrity interest: Mr. Russell Wong from “The Mummy,” “Romeo Must Die” and “Joy Luck Club”; and Lou Ferrigno (the Hulk). 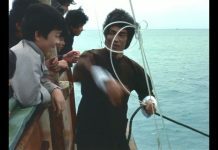 “The Cook and The Thief” is a fast paced slapstick family action comedy, and will reveal Zak as an Italian Jackie Chan. Preproduction for the first film is scheduled for mid 2011. LightRow Pictures will introduce and promote all seven films throughout 2011 and 2012 in several film markets and events. The titles are REGENERX action/adventure/sci-fi/comic, ARTNET action/crime/mystery/thriller, ANONYMOUS action/drama/thriller, RULES 2 action/drama/thriller, FULL BLAST action/thriller, THE NEXT BIG HIT and THE COOK AND THE THIEF. “Rules” latest domestic release on DVD is January 4, 2011, and is already available on rulesfilm.com, Amazon.com, Best Buy, and Sears. 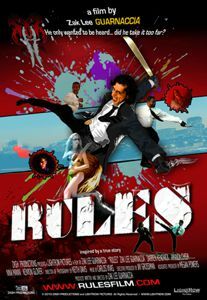 Rules was inspired by a true story, and tells the tale of beleaguered nightclub bouncer Pietro (Zak Lee Guamaccia), who embarks on a vicious rampage of revenge after having his ego bruised one too many times. But when Pietro makes the mistake of targeting the wrong man, he finds himself in the crosshairs of a notorious hired killer with a reputation for ruthlessness. A portion of the proceeds from the sale of the “Rules” DVD will benefit the Homeless Not Toothless Organization founded by Dr. Jay Grossman in 1992, Homeless Not Toothless is a 501c(3) non-profit program providing free dental care to the homeless and under-served. Along with actress Sharon Stone, Homeless Not Toothless is committed to building a dental and medical clinic for the 28,000 children in foster care. Learn more about HNT and the way to support its effort at www.homelessnottoothless.org.